A formidable partnership which safeguarded Arsenal’s Premier League-winning ‘Invincibles’ campaign, ex-Arsenal midfielder Gilberto Silva has hailed his authoritative former teammate Patrick Vieira as a ‘real leader’, a fundamental quality which made the imposing Frenchman one of the modern game’s greatest and most prolific anchormen in the middle of the park. Gilberto, alongside Vieira, of course, were rarely breached as they patrolled the north-Londoners’ rearguard at Highbury, a ‘great’ association which which seemingly helped mould and shape the Brazilian’s personal performances, as ‘Paddy’ made even the toughest of tasks appear natural and elementary. Speaking to the club’s official website, Gilberto revealed: “Patrick was a real leader – on the pitch, outside the pitch,” Gilberto told Arsenal Player. “Apart from that, he’s a very nice guy who everyone wants to cooperate with. He was always very helpful. “On the pitch, you could trust him. Any time he was there, we knew that it would be much easier for us in the middle. It was a great partnership, me and him, because the understanding about the way we played, the way we managed the game, was very easy. 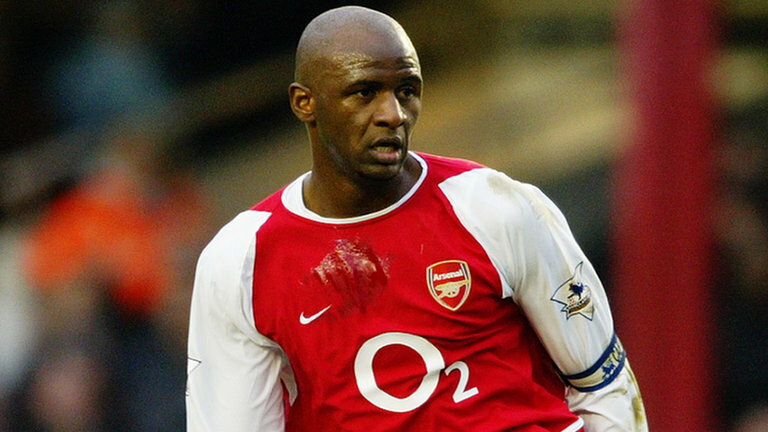 Vieira was recently unveiled as Ligue 1 outfit OGC Nice’s boss after sculpting his managerial career at MLS franchise New York City, and it’s thought that the domineering Gunners legend’s future in the dugout could be as glittering as his accolade-laden career on the turf. Share the post "Former Arsenal midfielder Gilberto Silva hails authoritative teammate as a ‘leader’"